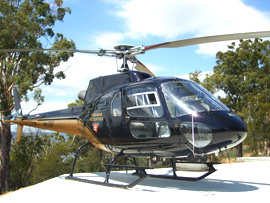 Tasmanian Helicopters offers a complete charter service. Chartering a helicopter is the ultimate travel experience and is the best way to see the breathtaking countryside without the traffic congestion. We have a large range of aircraft suitable for charter from the Jetranger 4 passenger helicopter to the larger Eurocopter AS350 6 seat helicopter. Our Eurocopter helicopters are all equipped with leather seats and will comfortably seat 5 passengers, which may be ideal for that corporate event or to showcase the state to those important clients. The versatility of helicopters means we are able to land just about anywhere. All of our helicopters are equipped with Differential GPS (DGPS), which are able to precisely map your infrastructure. This information can be quickly downloaded to electronic format for review on your computer system. A usefool tool in facilitating your preventative maintenance programs. 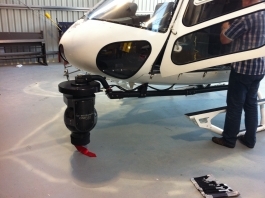 Tasmanian Helicopters can provide a wide range of resources for television and film productions. We can also assist with local contracts in a number of areas depending on your needs. Our clients include ABC, Ten, Southern Cross Television, Department of Defence, Forestry Tasmania and other Tasmanian media and advertising companies.